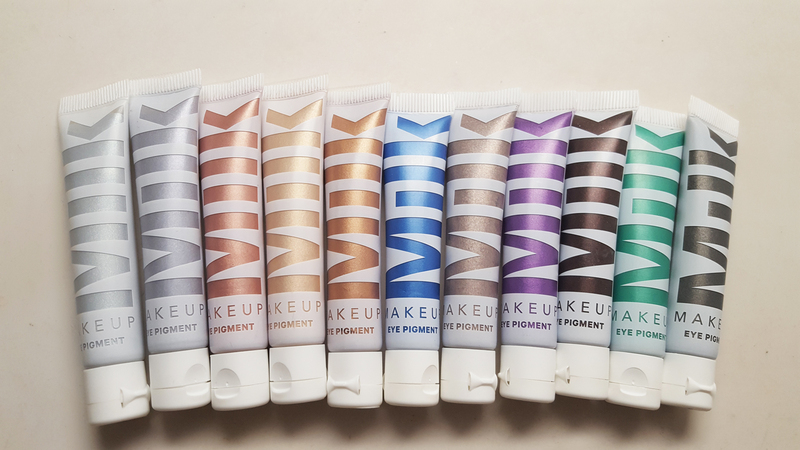 I'm so excited to show you a new product from Milk Makeup. 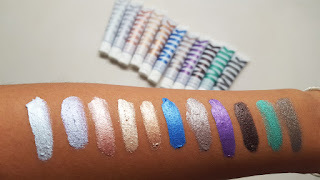 Their eye pigments are gorgeous pearl paints that you can use anywhere for a pop of color. Best yet they're crease free. Check it out! 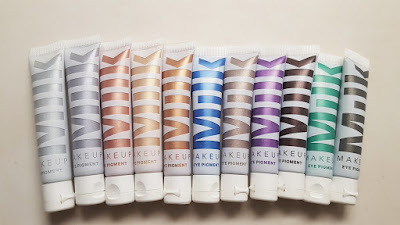 Milk Makeup just released 11 shades of gorgeous, hyper pearlescent long wear cream eyeshadow. Milk Makeup's tagline is "Milk Girls Do their Makeup Quick". Hence the portable squeeze tubes. You can pop some on your finger, pat on the color and be good to go. This is also great for makeup artists who can squeeze this product on a palette. Check out these gorgeous shades...metallics, brights, and neutrals. I can picture some of these shades being beautiful for bridal work. I also love that the packaging shows the actual color on the outside. The product comes out as a thicker paint which you'll need to blend out. If you don't blend it all the way, I noticed some chunks can flake off. Aren't these swatches beautiful. 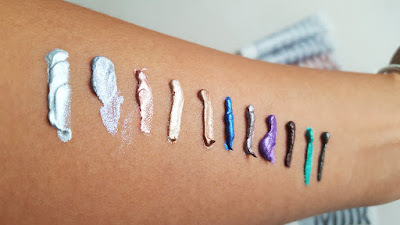 I found myself using these as eyeshadows or even liner. I applied with both a synthetic brush and my finger. I did a test and they really are smudgeproof.